I colored Tilda with Egg and Chicken using Copic Sketch Markers. 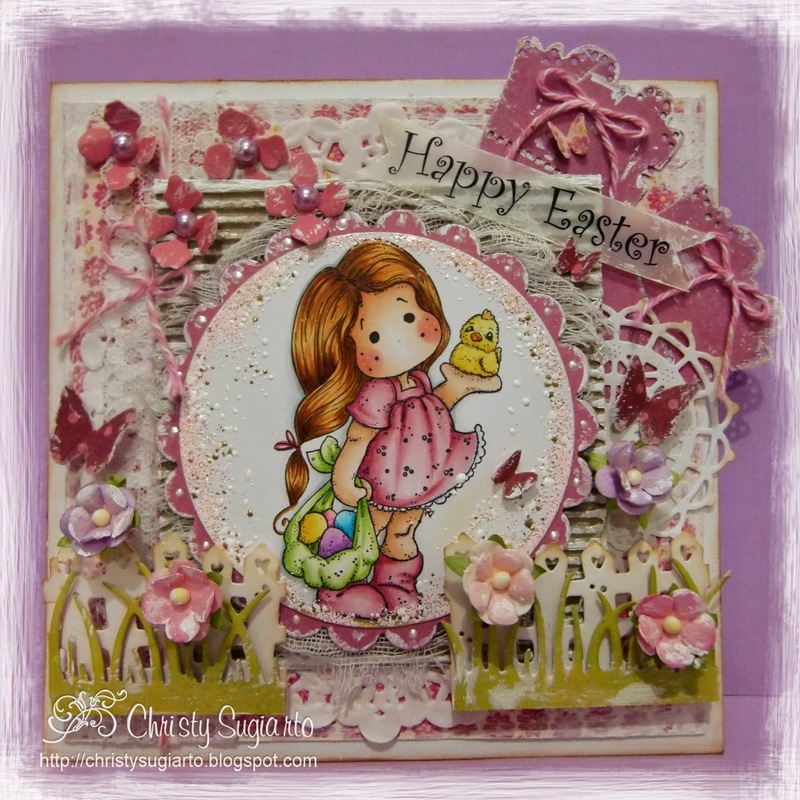 Frantage circle edges here with shabby pink. Dotted around scallop circle with white opal liquid pearl. Fence, grass ,flowers and tag are Magnolia doohickey dies. Butterflies are from Martha Stewart punch. Added doily paper, cheese cloth, corrugated cardboard behind the image. Distressed lightly using tea dye and some white gesso on here and there. Happy Easter sentiment I print out in vellum paper on my computer. Oh wow this is just so beautiful. A wonderful Easter/spring creation. A gorgeous scene. 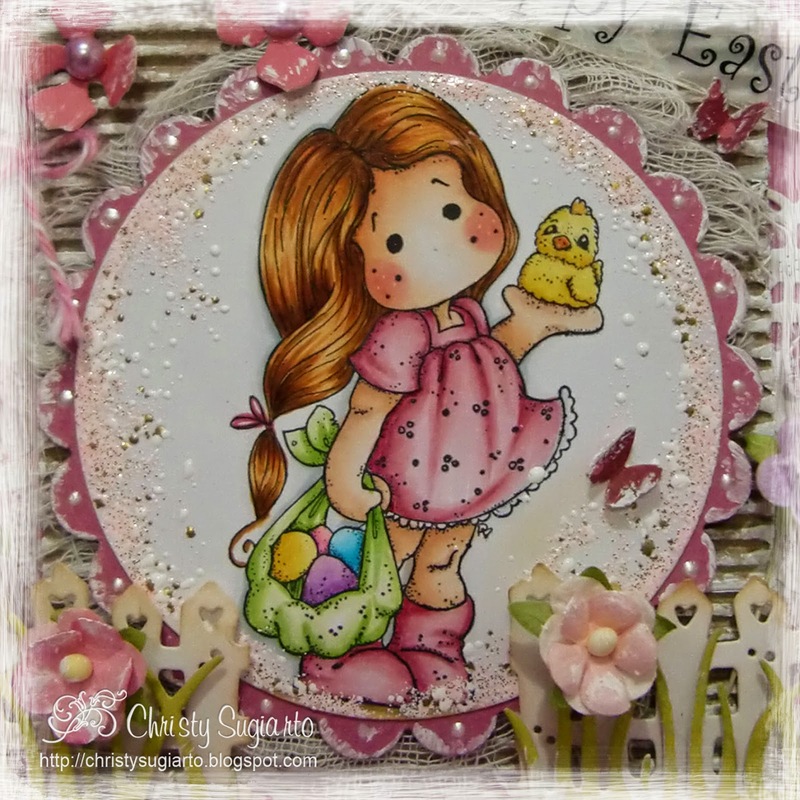 This is a spectacular Easter creation, Christy! Love your coloring and design!!!! Hi christy! your design so beautiful as your coloring too.. so glad you take the sketch and joining us at MDUC.. welcome back sweetie!